Investing in blue chip stocks may have a reputation for being boring, stodgy, and perhaps even a little outdated. However, it isn't an accident that they are overwhelmingly preferred by wealthy investors and rock-solid financial institutions. Anyone with common sense would want a stake in businesses they not only understand but that have a demonstrated record of extreme profitability over generations, and blue chips certainly fit the description. Measured across long periods, blue-chip stocks have minted money for owners prudent enough to hang on to them with tenacity through thick and thin, good times and bad times, war and peace, inflation and deflation. And it isn't as if they are unknown. They are ubiquitous; taken for granted. Blue chip stocks often represent companies residing at the core of American and global business; firms boasting pasts every bit as colorful as any novel and interwoven with politics and history. Their products and services permeate nearly every aspect of our lives. How is it possible, then, that blue chip stocks have long reigned supreme in the investment portfolios of retirees, non-profit foundations, as well as members of the top 1% and the capitalist class, while being almost entirely ignored by smaller, poorer investors? This conundrum gives us a glimpse into the problem of investment management as it is and even requires some discussion of behavioral economics. Blue chip stocks don't belong exclusively to the realm of widows and insurance companies, and here's why. A blue chip stock is a nickname given to the common stock of a company that has several quantitative and qualitative characteristics. 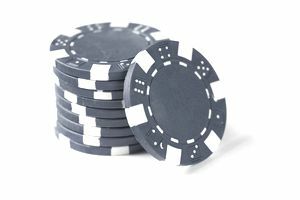 The term "blue chip stock" comes from the card game, Poker, where the highest and most valuable playing chip color is blue. Reward shareholders by growing the dividend at a rate equal to or substantially more than the rate of inflation so that the owner's income is increasing at least every twelve months even if he or she never buys another share. Are substantially larger than the typical corporation, often ranking among the largest enterprises in the world as measured by both stock market capitalization and enterprise value. One of the reasons wealthy investors love blue-chip stocks so much is because they tend to compound at acceptable rates of return - typically between 8% and 12% historically with dividends reinvested - decade after decade. The journey isn't smooth by any means, with drops of 50% or more lasting several years along the way, but over time, the economic engine that produces the profits exerts its extraordinary power. It shows up in the total return of the shareholder, presuming that the shareholder paid a reasonable price. By holding the stock directly, and allowing enormous deferred tax liabilities to build up, the wealthy can die with the individual stocks still in their estate, passing them to their children using something known as the stepped-up basis loophole. Effectively, as long as you are still under the estate tax limits when this happens, all of the deferred capital gains taxes that would have been owed are forgiven. It's one of the most incredible, long-standing, traditional benefits available to reward investors. For example, if you and your spouse acquired $500,000 worth of blue-chip stocks and held on to them, dying after they had grown in value to $10,000,000, you could arrange your estate in a way that the capital gains that would have been owed on the $9,500,000 unrealized gains ($10,000,000 current value - $500,000 purchase price) are instantly forgiven. You would have never paid them. Your children will never have to pay them. It's such a big deal that you're often better compounding at a lower rate with a holding you can maintain for decades than trying to flit in and out from position to position, always chasing after a few extra percentage points. Another reason blue chip stocks are popular is that they offer somewhat of a relatively safe harbor during economic catastrophes (especially if coupled with gilt-edged bonds and cash reserves). Inexperienced and poorer investors don't think about this too much because they're almost always trying to get rich too quickly, shooting for the moon, looking for that one thing that will instantly make them rich. It hardly ever ends well. Markets will collapse. You will see your holdings drop by substantial amounts no matter what you own. Finally, wealthy and successful investors tend to love blue-chip stocks because the stability and strength of the financial statements mean that the passive income is hardly ever in danger, especially if there is broad diversification in the portfolio. If we ever get to the point that America's premier blue-chips are cutting dividends en masse across the board, investors probably have much bigger things to worry about than the stock market. We're most likely looking at a civilization-ending-as-we-know-it set of circumstances. From time to time, you'll find a situation where a former blue-chip stock goes bankrupt, such as the demise of Eastman Kodak. However, as surprising as it may sound, even in cases like that, long-term owners can end up making money due to a combination of dividends, spin-offs, and tax credits. The reality is that if you are reasonably diversified, hold for a long enough period, and buy at a price, so the normalized earnings yield of the blue-chip stocks is reasonable relative to U.S. Treasury bond yield, short of a catastrophic war or outside context event, there has never been a time in American history where you'd have gone broke buying blue-chip stocks as a class. Sure, you had periods like 1929-1933, 1973-1974, and 2007-2009; periods during which you watched 1/3 or 1/2 of your wealth ​disappear right before your eyes in terms of quoted market value. That's part of the trade-off. Those times will return, again and again. If you hold equities, you will experience that pain. Deal with it. Get over it. If you think it can be avoided, you shouldn't own stocks. To the true buy-and-hold investor, it doesn't mean much; a blip on the multi-generational holding chart that will eventually be forgotten. After all, who remembers Coca-Cola losing around 50% of its value due to the sugar crisis shortly after its IPO? A single share bought for $40, which crashed down to $19, is now worth more than $15,000,000 with dividends reinvested.